Arc Rue Augusta dominates the entry to Praca do Comercio on the Tagus River in Downtown Lisbon. The Arc was built to commemorate the 1755 earthquake. The Arc is over 100 metres high at its tallest section. The terrace at the top of the Arc can be accessed by elevator. The terrace provides amazing views of downtown Lisbon. Praca do Comercio ( commercial square) is where the Royal palace stood until 1755 earthquake. The square is typical of Europe with cafe’s, tourist offices and museum in the building that surround the square. Family Travel Tip: At the bottom of Commercial Square where Lisbon meets the Tagus River is a boat landing dock. This is a great place in Lisbon for kids to paddle their feet in the river and cool down on those hot summer days. Torre de Belem Lisboa was built in1515 to guard the city. Belem tower was the last thing many of the Portuguese explorers seen of their country during the age of discovery. Portugal was a leader in discovering new lands and trade routes during the middle ages. Belem Tower is reachable on tram 15 from the Commercial Square. The Lisbon to Belem tram takes 15-20 minutes to reach Belem then another 10 minutes on foot. Castelo St George sits on one of the seven hills of Lisbon overlooking the Tagus River. It sits high looking to protect the city from invaders. There has been a settlement on this hill since 48BC. The castle provides the most breathtaking views of Lisbon. We have viewed Paris from Sacre Couer, we have viewed Barcelona from Montjuic but I must say the view you experience here is just about the best in Europe in my Opinion. It was amazing, inspiring the mix of the colour roofs of Lisbon, the river and hills of the city all laid out front of you. You enter the gate in the shadow of a statue of king Afonso seeming still overlooking his royal palace. Canons adorn the edge of the high walls a permanent reminder of the original use of the castle. A stroll along the outside walls is highly recommended for the panoramic views it provides of Lisbon. The view stretches from the top of Avenida da Libadade, Edward V11 park down to the River Tagus and Arc rue Augusta out to the Pont 25 suspension bridge and beyond. Take a stroll around the castle remains, the archaeological site and the museum. Castelo St George is one of the top 5 things to do in Lisbon. Family Travel Tip: Have a bite to eat at the cafe inside the the grounds. There are peacocks that will approach the tables for food. Our kids loved this and were fasinated by these beatifully colored birds. When in Lisbon don't forget to check out the quirky Pink Street. The kids will find the Pink Street in Lisbon something very different to any other street they have visited. Not exactly in Lisbon but a must short day trip from Lisbon. We caught the Lisbon to Sintra train from Rossio station. The train from Lisbon to Sintra was under 1 hour to this amazing UNESCO World Heritage site. Sintra is dotted with Royal palaces and castles that the royalty used it use as an escape from Lisbon. 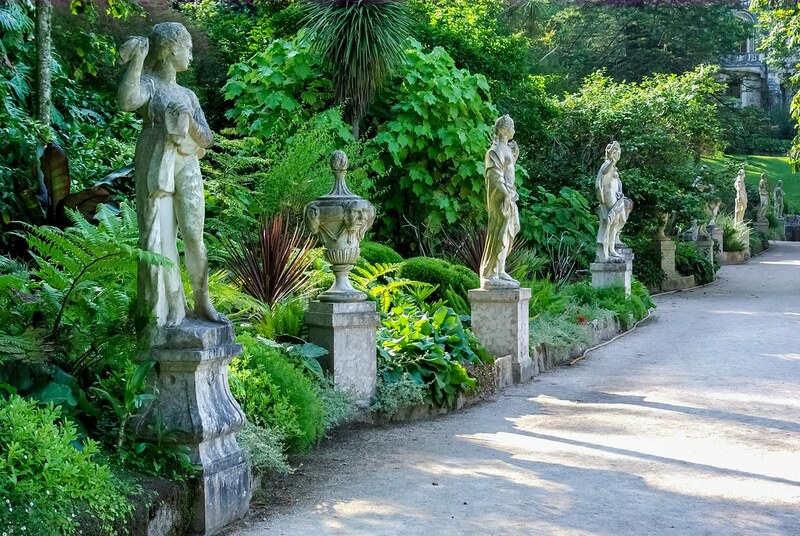 By the start of the 20th century, Sintra was popular with the aristocrats and millionaires who built estates here. The Pena National Palace is the most famous castle at Sintra. It sits high above the town on the hill. The Pena Palace is characterised by its bright colours and Moorish influence. The town also features the National Palace of Sintra, the ruins of the Moorish castle. Quinta da Regaleira is an estate located near the historic centre of Sintra. This estate features some amazing gardens, caves, wells and a small castle. We recently visited on our second visit to Sintra in December of 2016. The Pena Palace is characterised by its bright colours and Moorish influence. The town also features the National Palace of Sintra, the ruins of the Moorish castle, National Palace of Queluz and the Monserrate Palace. Sintra is also a great place to escape the heat of Lisbon on those really hot summer days. We found that it to be at least 10 degree's cooler the day we visited than the city. There is a bus that takes you in a loop past all the Castle's and Palaces in Sintra a hop on hop style of transport. A trip to Sintra is the best thing to do in Lisbon. Family Travel Tip: Walk from the National Palace of Sintra back to the train station. Its all down hill. There are traders selling souvenirs and handcrafts such as necklaces and bangles that our kids loved. More great family ideas for Things to do in Lisbon with kids. Below is ticketing and booking options. Just click to browse and book! Our kids love Segway tours. Book the Lisbon Segway now, you won't regret it! Visit the Lisbon Zoo. Its one of the fun things to do in Lisbon Portugal. We hope our 5 things not to miss in Lisbon inspires you to visit Lisbon soon. Whether its things to see and do in Lisbon or 15 things for under 15 Euro's there is plenty to do in the Portuguese capital. We have now been to Lisbon twice and can't stop dreaming about returning and experiencing more cool things to do in Lisbon. 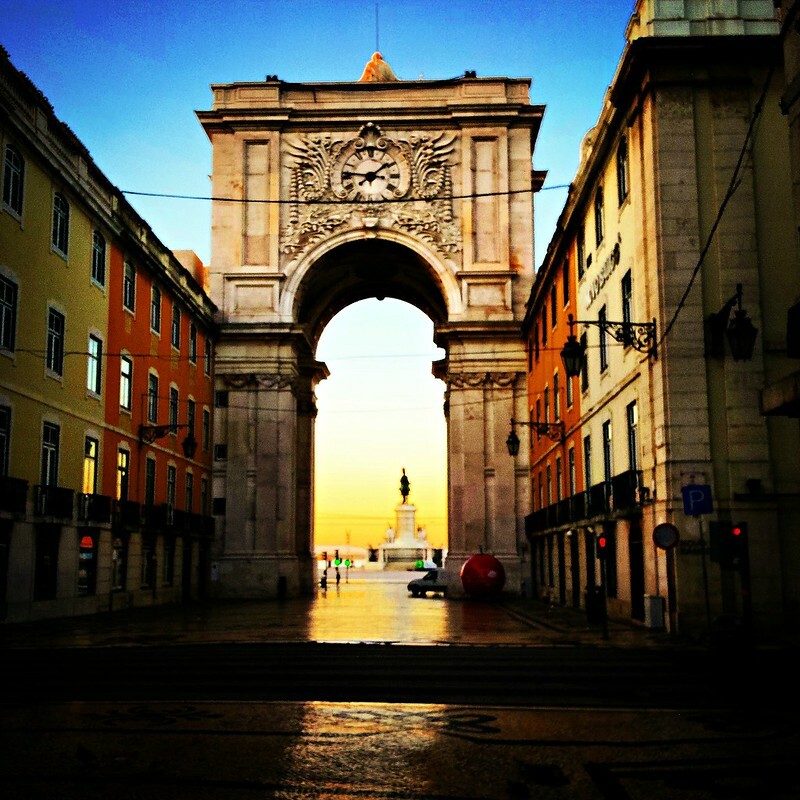 There are plenty of things to do in Lisbon with kids or just as a couple or single traveller. Most international buses arrive at Lisbon's Estação do Oriente bus station. Check your bus prices here. Ticket prices on the trams (streetcars) is now 2,85 Euros with the object being to make more users buy pre-pay passes. A single ticket on the metro is €1.90 without a rechargeable card, €1,40 with. There are a variety of passes available which reduce those costs considerably. The popular Lisbon Hop on hop off bus is a great option for tourists wanting to see the main sights of Berlin. This tourist bus has 2 different routes that travel the sights of the city on a loop basis. For more information Look here! Hostels in Lisbon can start from as little as 15 euro's a night for a shared dorm room. Hotels in Lisbon generally start from around $70 a night for a double room and increase incrementally as the luxury rating rises towards 5 stars. Google states that 3-star averaging $92, 5-star averaging $226 for a night stay. For more great Portugal content Wyld Family Travel have selected two more articles for your reading pleasure. Click the image to start reading about the Lisbon hop on hop off bus tour and the Amazing Porto in Northern Portugal. First time visitor to your blog and it looks like a lovely place to keep visiting 🙂 Lisbon seems to be a wonderful city. How many days would you say is ideal to explore Lisbon as a tourist ? Great review of a city I have only just yet seen by air. I often read that Lisbon is quite a small capital city, yet from your interesting facts it is certainly one of the more interesting. I never knew it was the oldest capital in Europe nor that it got the most sunshine. Seems like a great few reasons alone to go. I haven’t been to Lisbon or Portugal for years now, but I’m actually planning another visit very soon. I loved the chilled atmosphere, small side streets and the local music scene. I haven’t seen all the things on your list though, so I’ll defiantly need to do something about it! Nice quality content. Lisbon look like amazing. We sub to your blog! One of my favorite cities in the world. Great collection of unmissable spots! I would add the Jeronimos Cloister too. It is a bit expensive now but I loved it when I was a kid. Amazing photos! I haven’t been to Lisbon yet though but I have surely been eyeing that region. Hopefully, I get to visit sometime this summer 😀 Thanks for the tips too — I’ll keep them in mind! I haven’t been to Portugal yet, but it’s on my list and I definitely want to spend some time in Lisbon. I love that photo of Arc Rue Augusta, the light in the centre of the photo is fantastic. I walked by Santa Justa Lift, but the line was so long… I also really loved Sintra and the colourful Pena Castle. Great post !!! These pictures makes me want to go back to Lisbon. We thoroughly enjoyed Sintra and Torre de Belem but looks like there is so much more to visit. Especially liked the part when we stopped by Pasteis de Belem! Did you guys end up stopping there too? I’ve never been to Lisbon (just Oporto) but it really looks great! The elevator is so cool but also the colors of Sintra (I haven’t heard about it, gasp, a bit ashamed of it 🙁 ) looks grand. I’ll read on! Thank you for sharing. Looks beautiful. I would love to visit. Peacocks walking around and up to you while eating sounds pretty cool. We haven’t been to Lisbon yet, but it is on our list of places to visit. Nice to know some of the highlights of things to see and do. I appreciate your “family tips” My son would love to have a bite to eat with the peacocks. What a fantastic tour, I definitely would be up at the castle above looking for all the best views to photograph of the city below. Great photos of Lisbon and that is an elevator unlike any I’ve seen before. I’m heading to Spain in the summer and I hope I can head into Portugal for a week and explore Lisbon. Haven’t been to Lisbon yet, but my friends and I are considering going there this summer. Will keep your tips in mind for the trip! Great read, knowing that Lisbon is actually one of the oldest cities in Western Europe was a great way to preface everything else. Really happy you discussed Sintra, despite being a different city, I had been eager to visit it as a quick diversion. The view from the Pena National Palace has to be incredible. Definitely would be one of the highlights for me, as would be visiting the ruins around the city! Looks so beautiful!!! I haven’t been to Lisbon but I will make sure to check back on this list when I do! Thanks for the tips! This is really helpful information for my next planned trip. how many days would you recommend? Great article and pictures! I love reading through the it.These are really helpful information! I misread the title at first (I’ve been awake for a long time lol) and I thought it said “5 things I don’t miss about Lisbon”. I read the whole thing thinking, “that’s weird, these things seem great!” I realized my error though and the article got even better. Thanks for sharing. The Santa Justa Lift is gorgeous, actually, the whole place looks beautiful, definitely on the list for a visit. Great call-out that Sintra is an easy day trip from Lisbon. It specifically has been on our must-visit list for a long time. It’s good to hear that a chunk of time doesn’t have to be aggressively carved out for the trip to work. What a fabulous city! I’ve only been there pre-kids but really want to go with them, so this post is now bookmarked for reference! Great article! I love to travel with my daughter and would love to take her for a custard tart at Belem tower! Thank you so much for these fab recommendations! We are traveling to Spain with our kids in July and are trying to spend 1 week in Spain and 1 in Portugal. I am really hoping we can use these tips. I love your recommendations at for how to best optimize your visit when traveling with your family. Thank you! I loved Portugal when I went, but only did the Lagos area. I’ve heard great things about Lisbon, and this convinced me I must make it back sooner than later! Portugal has been on our list for sometime now, would love to visit at the earliest, your post motivates us to get there asap. Wow I never realised that Lisbon was the first Western European city! Fascinating! It looks like a really livable city. You are so right. It is a great city…I must go back! Lisbon sounds so lovely! Thanks for the info! Great share. I loved my time in Lisbon! Hit up most of these spots but never took the famous lift. I guess I just have to go back! Portugal is amazing! I love the pasteis de Belem and Sintra is definitely well worth the visit! Thanks for writing this, very timely as we’re going to have a couple of days in Lisbon later this year enroute to elsewhere, and I’ve not done any research yet. The views from Castelo St George look stunning, think that would definitely be top of my list! Lisbon is one of my favorite cities in Europe! It’s spectacular! The Jerónimos Monastery is also definitely worth visiting! I think I actually could make a list of 100 things… I am in love with this city. Thanks for taking me back with your post! Greetings from 99 lives! That lift looks so cool! I’d love to take a ride up to the top. Having lived in Lisbon most of my life, I can’t stop to notice a couple of things. The arco da Rua Augusta is definitely not over 100m.. You might have meant 100ft. Second, I would not get in the river.. Cascais is just around 45mins by train and that’s already the sea which is much cleaner.. Or even better than that, rent a car, take a tour to Sintra in the morning and in the afternoon go to Guincho (getting from Sintra to Guincho by public transportation is not an easy or quick task).. Make sure it is not windy, this beach can either be extremely nice, or extremely windy..
You have to visit Coimbra too. The City of students (“cidade dos estudantes” in portuguese.) The university and the downtown they’re beautiful! Sintra is fantastic. I didn’t go the palace, because I spent 5 hours in Quinta da Regaleira, which is the most awesome place that I have been in Portugal. Full of hidden caves, paths, secret passages. It’s fun, fresh and perfect for children. It’s an adventure hard to forget. but great topic. I needs to spesnd somne time finding out much more or figuring out more.